Notre Dame is off to a hot start in 2021 recruiting as quarterback Tyler Buchner‍ and offensive lineman Greg Crippen‍ have already committed to the Irish. 2021 Avon (Ind.) 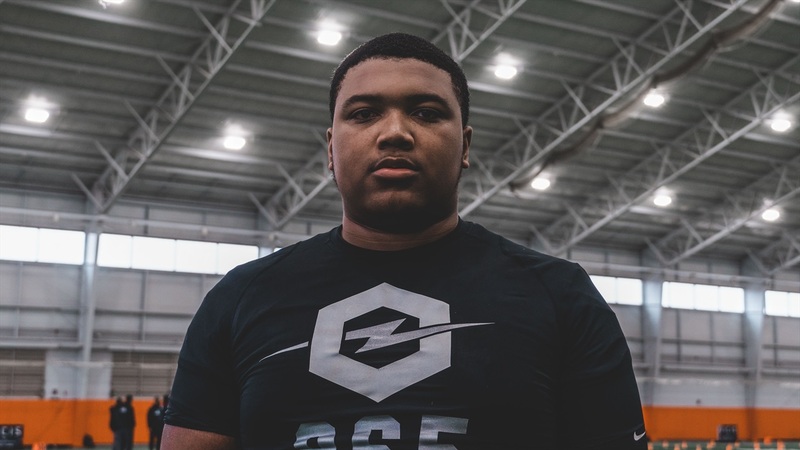 offensive lineman Blake Fisher‍ is another name at the top of the board and it was easy to see why as the four-star prospect dominated at The Opening regional in Ohio on Sunday. Fisher has been maybe the most frequent visitor to Notre Dame over the last few months and was in South Bend just over a week ago to see practice. The 6-foot-6, 287-pounder has built an incredibly close relationship with Quinn and it’s one that goes deeper than football. In fact, it’s such a close relationship, it might be hard to top. Despite the close relationship, Fisher has yet to hear what position Quinn wants him to play in college and that’s more than fine with the Avon star. While Kelly and Quinn made significant impressions once again, Notre Dame’s players and former players also made a considerable impact during Fisher’s visit. Fisher was also able to watch Notre Dame’s practice along with 2020 offensive lineman Zak Zinter and 2021 offensive lineman Landon Tengwall. It was a chance for the three recruits to bond, but they also were able to see how physical Notre Dame practiced, which impressed Fisher. He might be fresh off a visit to Notre Dame, but Fisher is already looking to get back to South Bend. However, he’ll make a few stops at some other Midwest programs next week as well. Fisher remains firm in stating he doesn’t have a leader and isn’t close to making a decision, but make no mistake, Notre Dame has impressed him over the last few months.